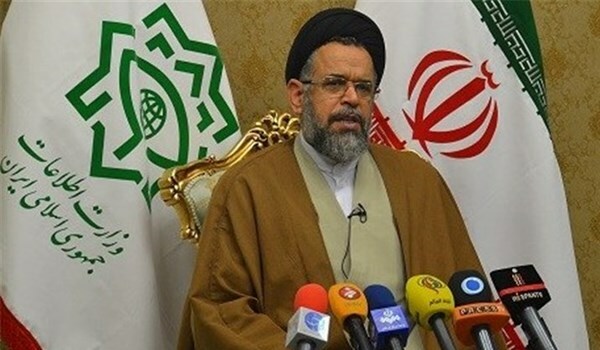 Iranian Intelligence Minister Seyed Mahmoud Alavi announced that the country’s security forces have dismantled hundreds of terrorist groups. The ministry has so far eliminated 300 terrorist groups inside the country, killing hundreds of their members, Alavi said, addressing a ceremony in Tehran on Sunday. According to the intelligence ministry, Iranian security forces disband dozens of terrorist teams, sponsored by some regional and trans-regional states, every year. In a relevant development in September, the Islamic Revolution Guards Corps (IRGC) Ground Force dismantled a terrorist team in Southeastern Iran, killing at least 4 terrorists. “The IRGC’s Quds Force killed four members of a terrorist group during clashes near the city of Saravan (Sistan-Balouchestan province) in the Southeastern border with Pakistan,” the IRGC said in a statement. The statement noted that a considerable amount of weapons, ammunition and telecommunication equipment were seized from the terrorists after the team was dismantled. Commander of the Islamic Revolution Guards Corps Ground Force Brigadier General Mohammad Pakpour warned last month that the IRGC would give a crushing response to any move by the terrorist groups, adding that his forces would even chase the terrorists to their hideouts outside Iran’s borders. “Everyone should know that our retaliation for the recent (terrorist) act (by PJAK (the Party for Free Life of Kurdistan) terrorist group) in Marivan (in August) will be crushing. No one knows its place and time but our retaliation will be crushing at any point, including their camp in Northern Iraq,” General Pakpour told reporters in Tehran. General Pakpour also said that 21 ISIL members were also killed early last year in Western Iran, reminding that 28 Iranian border guards were martyred in the past 4 months. Alavi said in September that the country’s security forces had disbanded two terrorist teams in the western parts of Iran. “The terrorist outfits were affiliated to hostile countries and arrested through intelligence operations,” he added.